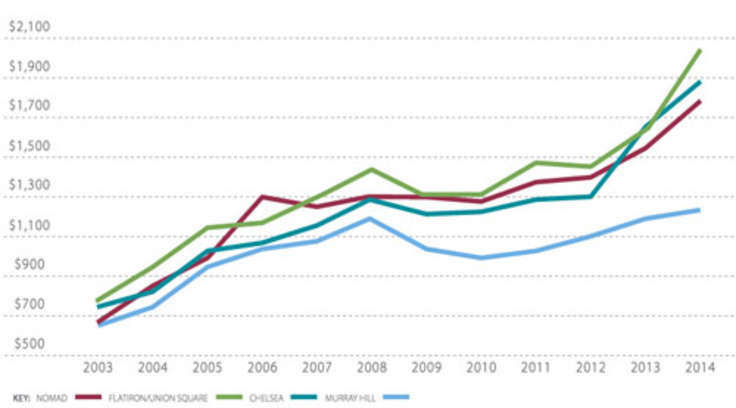 What a difference a decade makes! This time ten years ago, the landmarked 287 Broadway was unsafe to occupy and held up with steel beams. Now, plans filed with the city to convert the offices in the building to 10 high-end resiences have been approved. 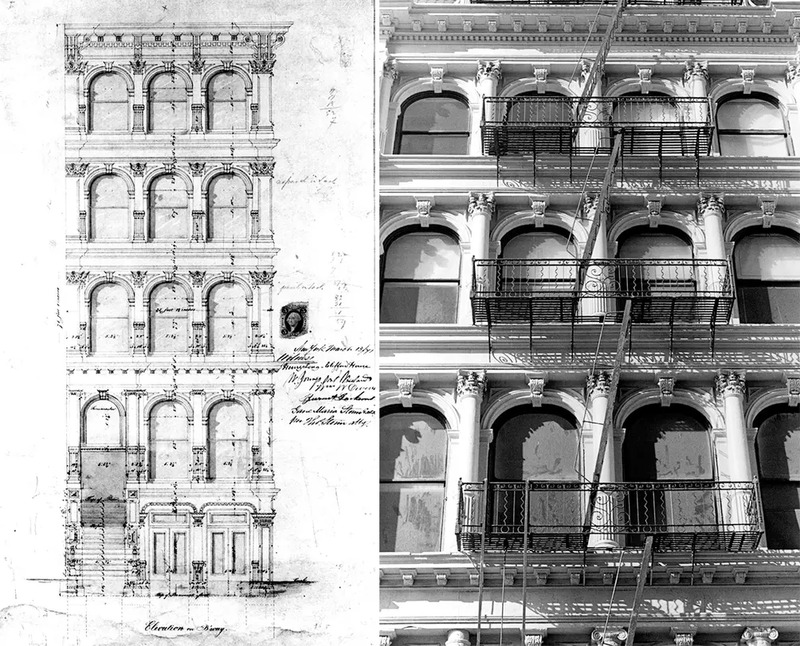 In a review of Tribeca condominium Reade57, architecture critic Carter Horsley said that the building is “squeezed between two of Lower Broadway’s more attractive older structures.” He briefly mentioned how construction put one of those structures at risk: In late 2007, excavation work on its site caused 287 Broadway to dramatically lean eight inches. Reade57’s developer erected steel bracing to keep it upright, but tenants and local architecture enthusiasts were dismayed to learn that the building’s future was in serious doubt. The cast-iron building was designed by prominent architect John B. Snook, designer of the original Grand Central Station, in the early 1870s. Its combination of Italianate and French Second Empire styles made it a standout, and its high mansard roof and early Otis elevator indicated its prestige. It was designated a landmark in 1989. 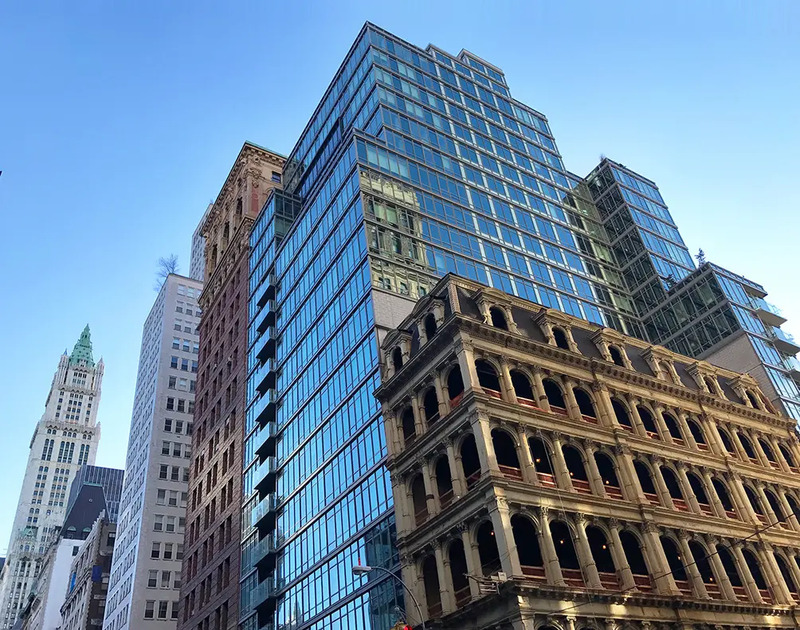 It's not every day that a developer's purchase of a landmarked building is celebrated, but that's what will bring about a renaissance for 287 Broadway: United American Land bought the building for $8 million in 2013 and made grand plans for the space. 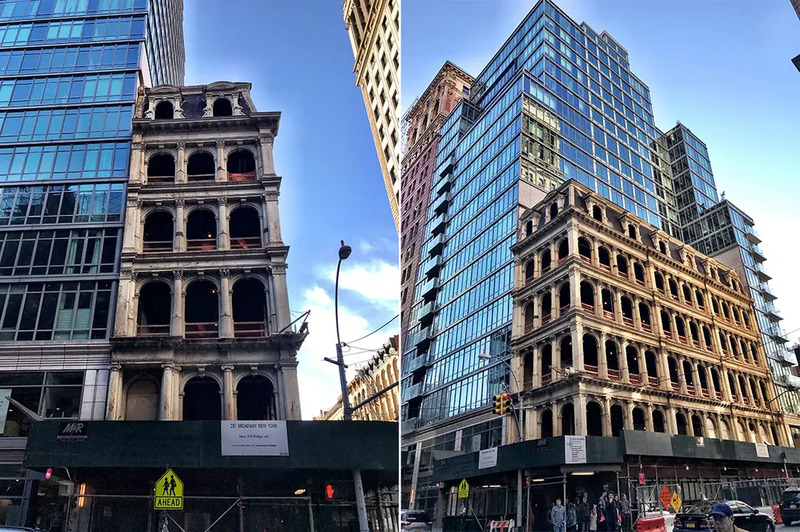 A multi-million-dollar renovation is underway to restore the facade to its former glory and put in 10 luxury apartments to give its neighbor some competition: Apartments at Reade57 are currently listed at an average of $1,768 per square foot.